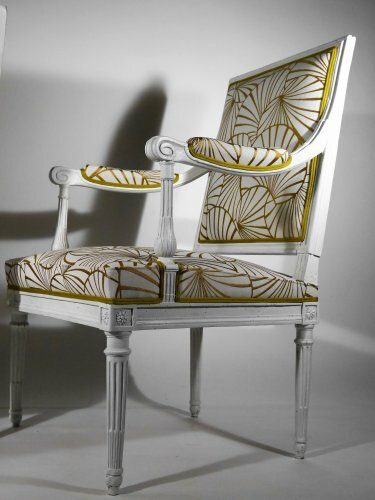 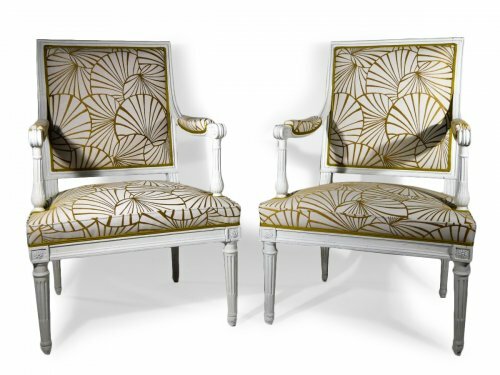 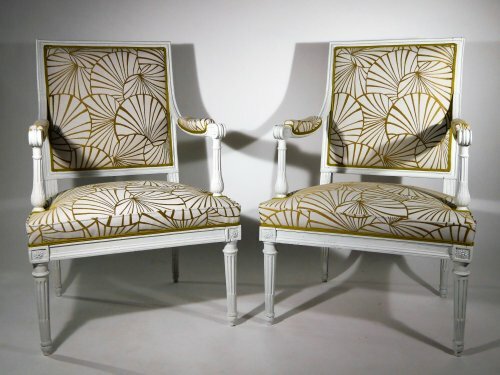 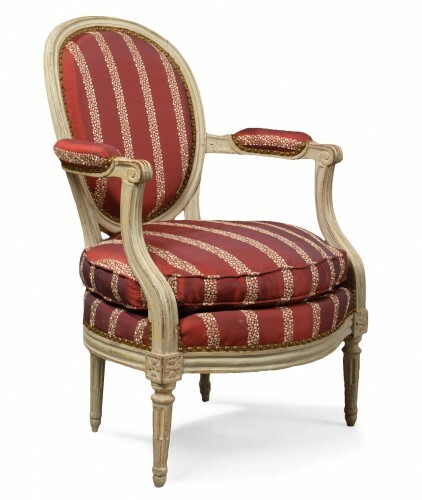 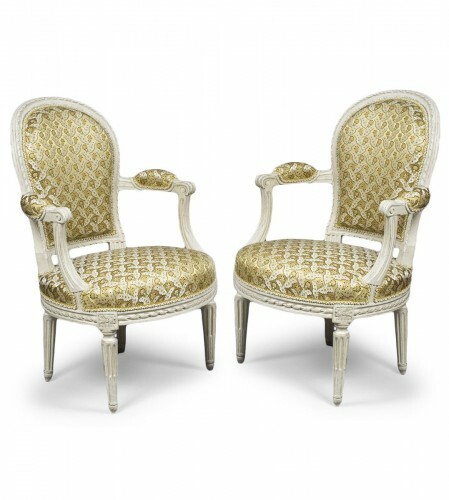 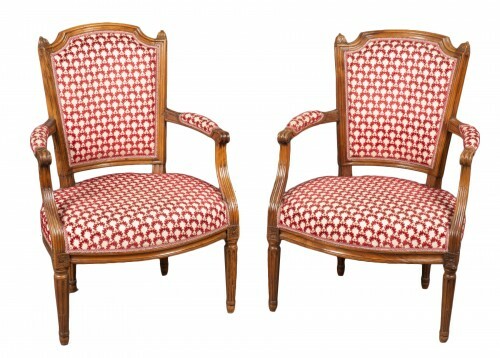 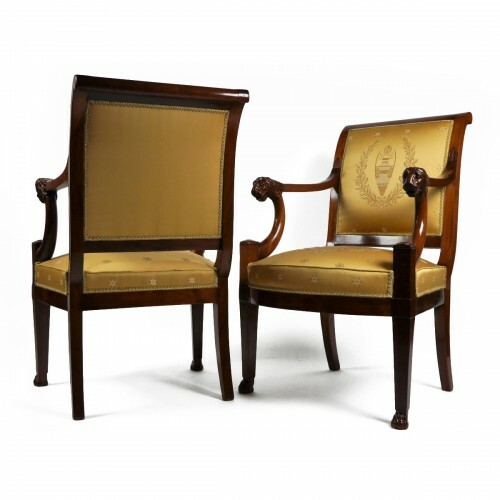 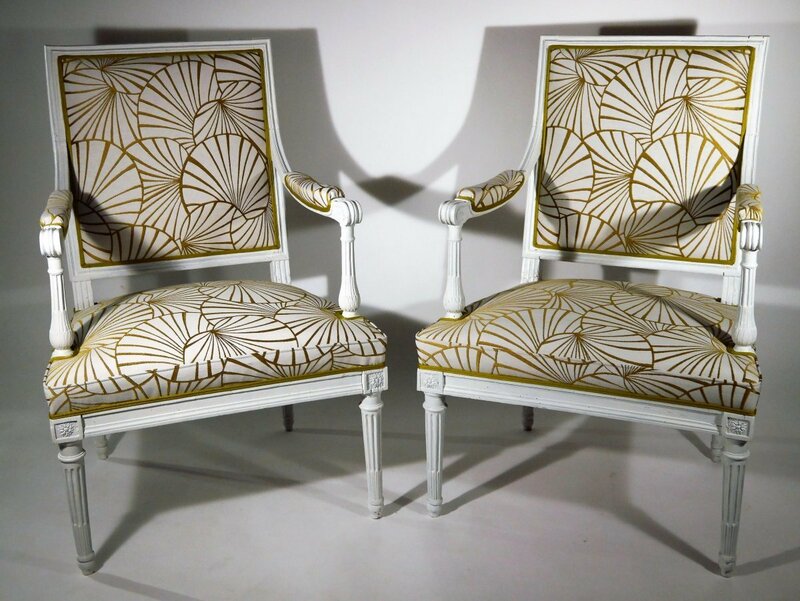 Pair of large armchairs of Louis XVI period in lacquered beech attributed to Georges Jacob. 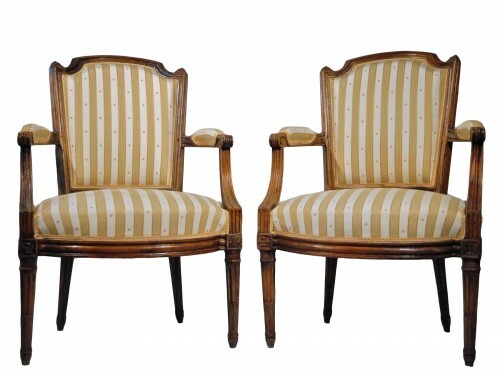 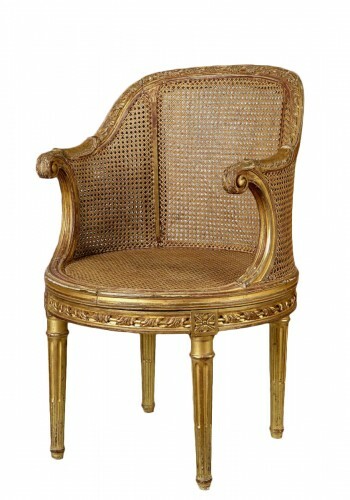 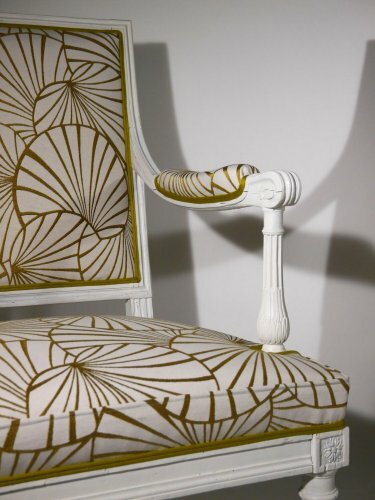 Georges Jacob delivered exactly identical armchairs to the Duke of Penthièvre for the Chateau d'Amboise. 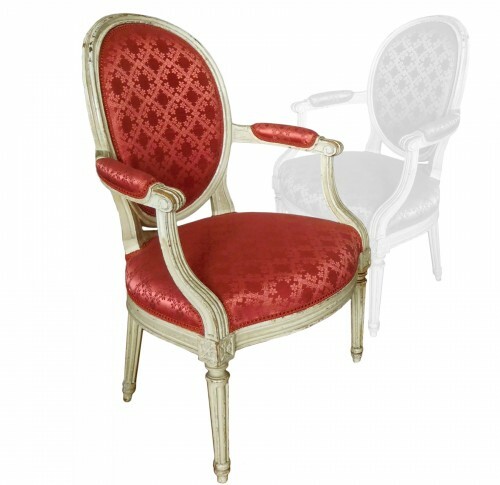 Condition Report: Fully restored in our workshop in September 2017. 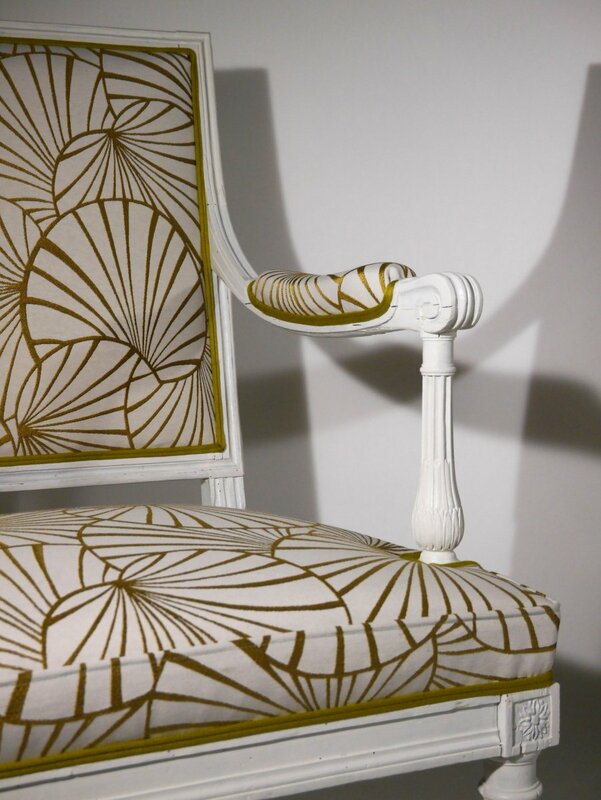 Traditional tapestry with horsehair. 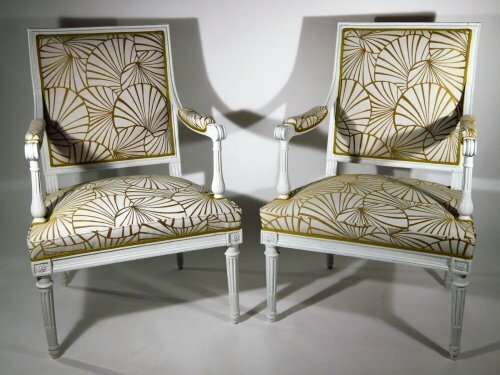 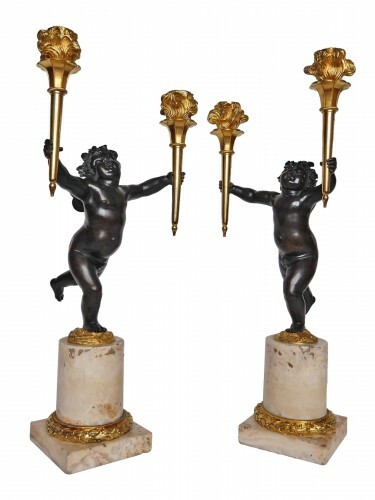 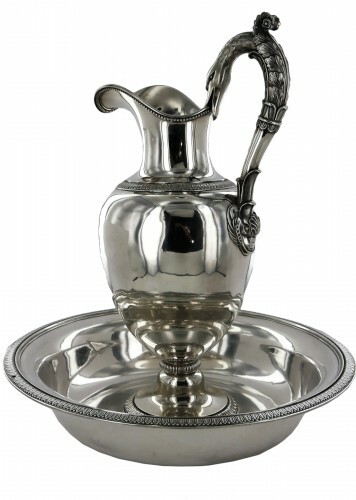 The shipping and customs charges are free of charge for all destinations in Europe for objects of more than 2,000 euros and furniture pieces of more than 5,000 euros. 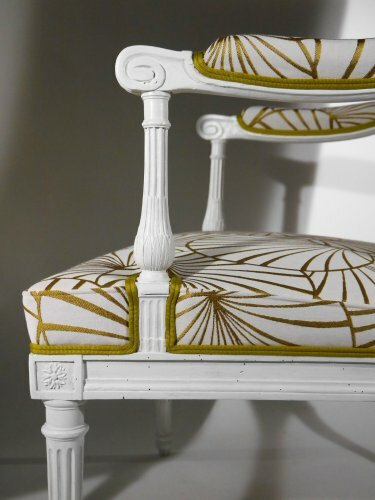 A wooden box is made for each article. 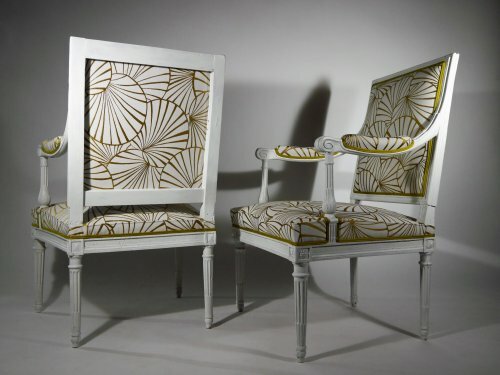 For especially fragile furniture pieces, we produce customized boxes.